By the statutes, courts and parents can access the guidelines as set to help make decisions on whom and how much one should contribute for child support. Through those laws, different factors are taken into consideration when coming up with a figure that the paying parent should contribute. 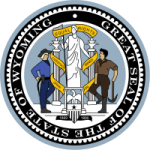 Every judge or court handling child support cases in Wyoming are required to follow these guidelines as they set out different circumstances on how child support should be handled.